We are showing a selection of small, early ceramics by Robert Graham in the group exhibition Small is Beautiful. 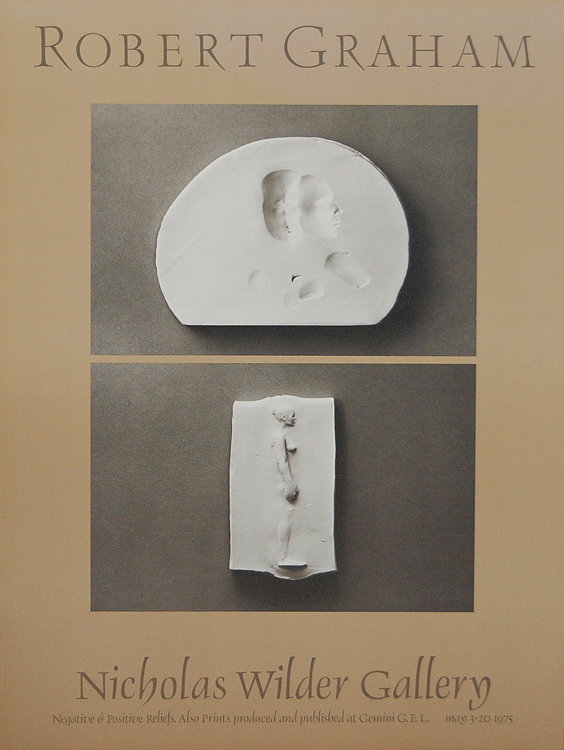 Produced in 1975, these works were first exhibited at the legendary Nicholas Wilder Gallery that same year. Wilder occupies an important place in the art history of Los Angeles – he was the first to show Bruce Nauman and also exhibited David Hockney, Ron Davis, John McCracken and John McLaughlin. The fine anatomical detail makes the figures powerfully believable; yet, at the same time, the sensuous surface treatment makes them extremely satisfying as objects whether the medium is bronze, sometimes gilded or painted, or porcelain. In relief or in the round, Graham’s figures and fragments embody a quality of near-hallucinatory expectancy – a sense of emerging from mist or out of time – that gives them a beauty and significance beyond their intrinsic qualities as representation or craft. It’s good news that the Kayne Griffin Corcoran Gallery will be opening a show of works by Robert Graham from 1969-1974 on January 14. Including figurative sculpture in wax and bronze, as well as drawings in graphite and pastel, their exhibition will focus on the period that directly precedes the ceramic works we have on display. Graham’s lifelong pursuit of the human form is elegantly reflected in these two bodies of work, with these investigations continuing for the duration of his career. Isn’t This A Ceramics Gallery? Lately, I’ve been getting a lot of questions from visitors similar to those above. 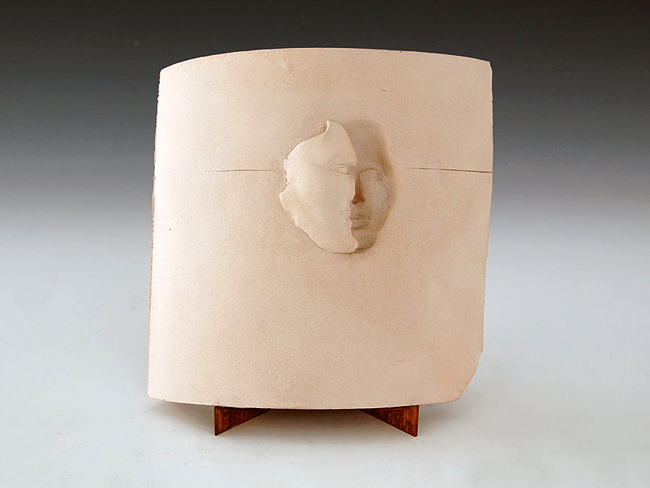 They seem to reflect a common anxiety – namely, that exhibiting work by artists in other media will take time and attention away from ceramic artists. However, part of my primary mission with the gallery has always been to present ceramic sculpture in the context of the contemporary art world. I’ve written about the traditional hierarchy of materials before, here and here, and I believe that exhibiting clay alongside other mediums is one of the best ways to demonstrate clay’s place in the art historical conversation. Looking back on the gallery’s recent exhibition schedule really illustrates my commitment to supporting ceramists. 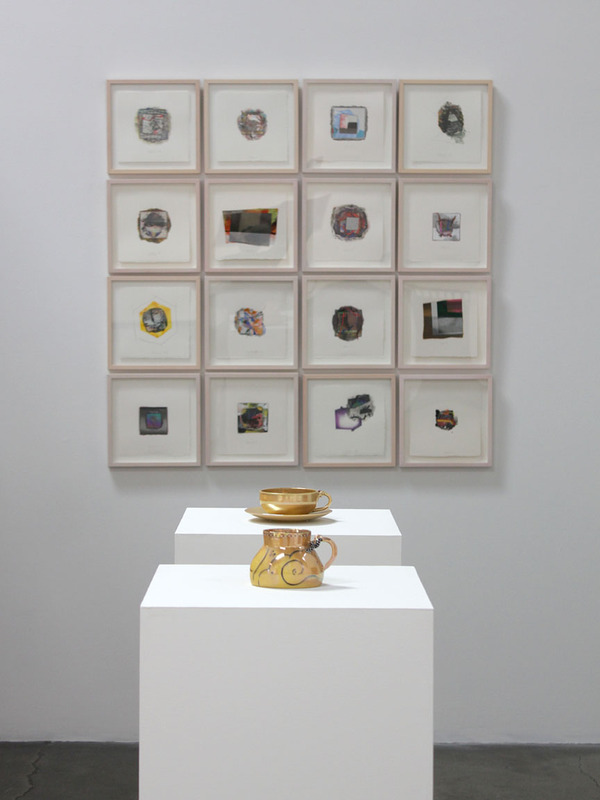 Of our last twelve shows, three have been solo exhibitions of ceramic artists, and four have been group exhibitions featuring ceramic artwork. Ceramics are also on display in the presentation room year-round. Our current exhibition, Small is Beautiful, is a large group show that presents clay artworks works together with those of other media. I hope you will have a chance to come see it in person – it will be on display through January 11, 2014.